Is it Dangerous to Make a Garden Bed From Cinder Blocks? 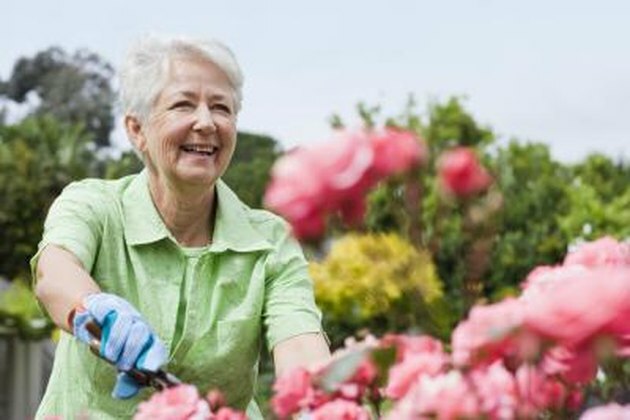 History has shown us that gardening soars in popularity during lean economic times. During World War II, for example, people were encouraged to have Victory Gardens. Today, even the White House has an extensive garden. Films such as "Food, Inc." have raised awareness about the sometimes less than desirable characteristics of our food supply. Raised beds increase the chances of success for first-time gardeners embarking on this new journey. Raised beds don't necessarily need a lot of structure, but they do help contain the soil and nutrients. Concrete blocks — often called cinder blocks — are a common material used to create a raised bed system. A raised bed elevates the height of a garden, reducing the need to stoop over or kneel. A raised-bed garden should be 3 to 4 feet wide so you can access it from both sides without stepping in the bed. You can mound 6 inches of soil without a frame, but a deeper bed needs more support. Concrete blocks, pressure-treated landscape timbers, composite lumber, stone and naturally rot-resistant lumber such as redwood or cedar are all candidates for raised-bed construction. Avoid railroad ties and chemically treated lumber. Fill the holes in a concrete block with soil and use it as a planter for invasive herbs. People often refer to modern concrete blocks as cinder blocks. This is actually incorrect — cinder blocks have not been manufactured for about 50 years. Back when the coal industry was big, cinder blocks were made of cement, cinders, aggregate — sand and/or gravel — and water. 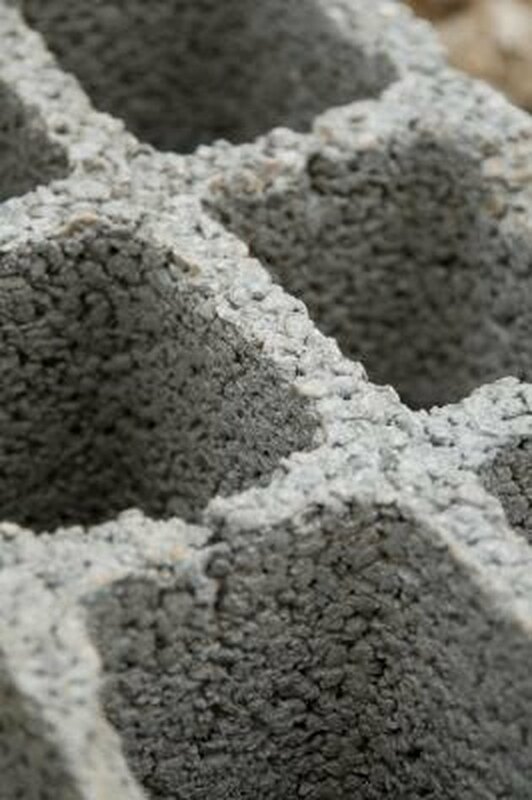 Today's concrete blocks contain the cement, aggregate and water but omit the cinders. Concrete blocks are affordable and durable. In fact, if you're resourceful, you may even be able to find them for free. You don't need mortar or footings if your raised bed is less than 2 feet high. Since concrete blocks are modular, it's easy to build a simple rectangle or an L-shaped corner garden. And, unlike using wood, you won't need any power saws or hand tools to shape your bed. The holes in the top of the blocks can be filled with soil and used as planters to contain plants that might be invasive, such as mint. The holes can also hold support structures in place for fencing or row covers. The Oregon State University Extension reports that some concrete blocks may leach lime into the soil over time. While not harmful to humans, the additional lime may alter the acidity of your raised bed. Monitor the pH of your soil if you suspect that you have a problem. In fact, it's good to get your soil tested periodically anyway to ensure the best growing conditions for your plants. Concrete blocks are also heavy to transport. Depending upon the dimensions of your blocks, they may weigh between 25 and 40 lbs. Make sure you choose the location of your garden wisely so you don't have to move it later. Based in the Midwest, Bethany Wieman has been writing articles about gardening, DIY, finance, travel and sustainability for more than 10 years. She was featured in the book "The Complete Guide to Growing Vegetables, Flowers, and Herbs from Containers." Wieman's professional background is in marketing, working with such brands as Swiss Army, Timberland and Callaway Golf. She holds a Bachelor of Arts in English.